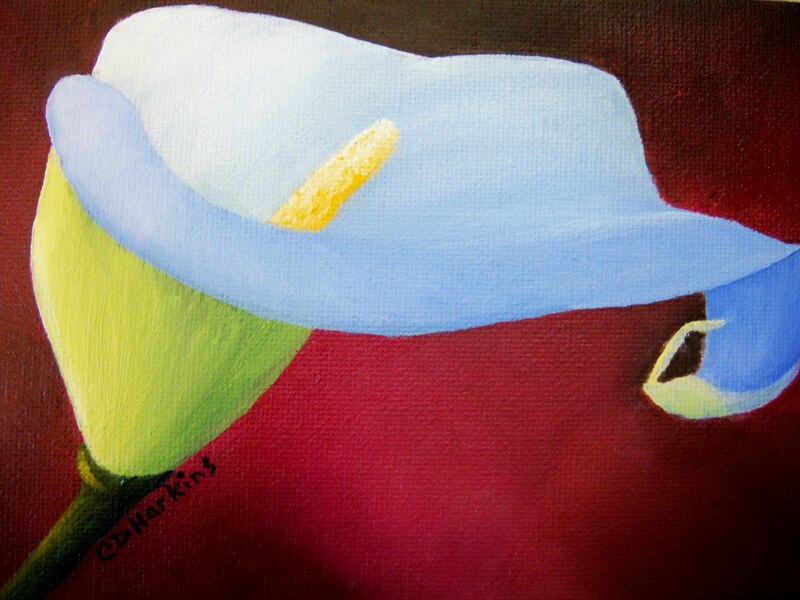 4x6 oil painting of a Calla Lily in Debra's backyard. I took the photo last month and finally finished it last Friday. I love the graceful lines of this kind of lily. Wow wee Christine!!!! I love the way the red background pops the graceful calla lily forward! You've finished it yeah! Its fab! I love the background colour it accents the lily so well. Beautifully painted. Thank you both! The burgundy background was painted with alizarin crimson and paynes gray. Well Hooray ,, hooray,, I knew you'd get it done ... Love the gradual drift of color... the whole piece is excellent.. Excellent painting, I like your use of bold colors , I checked all your blog and really like it.